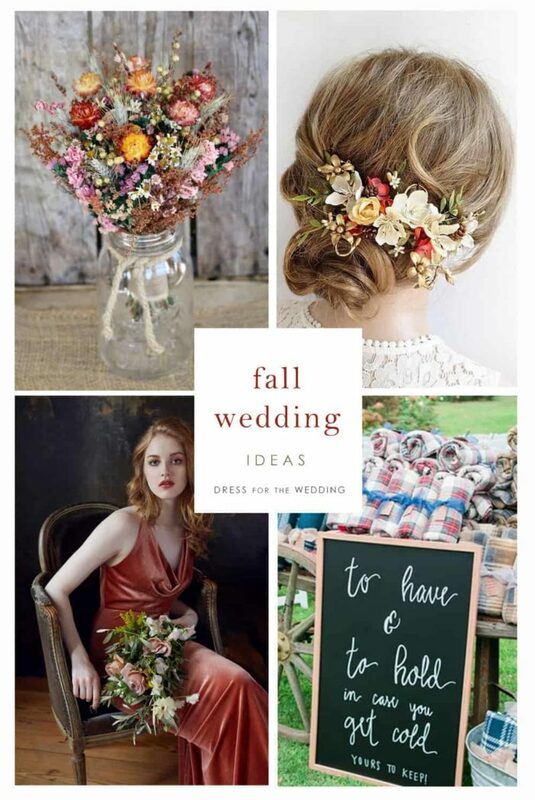 Fall wedding ideas to make every detail of your autumn wedding! 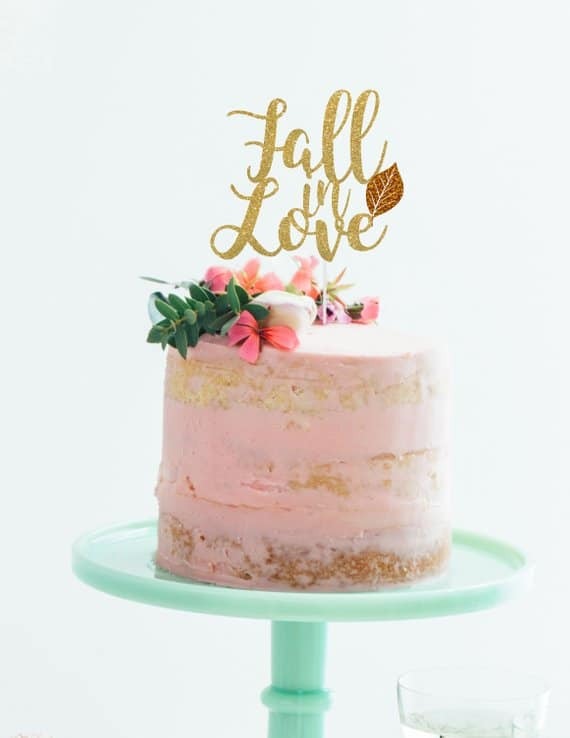 If you’re planning a fall wedding, this post will help you find all the elements; from invitations to decor, plus dresses, flowers, food, and favors — all of them perfect for an autumn wedding! Rich fall colors, and motifs of the season abound in this fall wedding inspiration post! Things we love about fall weddings! While spring and summer weddings get a lot of the spotlight; they are just the start of the wedding season! Fall weddings are just as popular; if not more so! Fall is filled with gorgeous nautral colors, plus the cooler days mean you won’t have to worry about sweating through your outfit, bright sun making everyone squint, and unpredictable summer storms. Fall in my region of the country has some of the prettiest days of the year! Sunshine peeks through when you least expect it, and the fall light and foliage just looks so pretty in pictures. If you and your love are planning a fall wedding; here are a few of my favorite things to include! I hope they’ll inspire you! 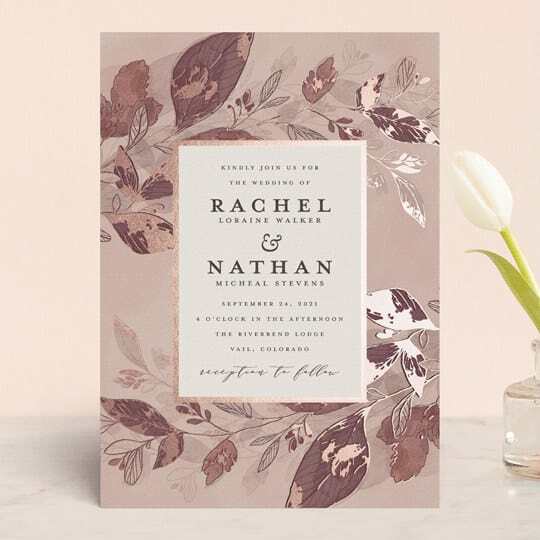 You’ll want to set the tone for your fall wedding early with your wedding invitations! Something with an organic motif or that coordinates into the colors you’ll use in your wedding is always a good idea. We love this one from Minted, and they have many more for the season. Wearing a fall-themed accessory can be another beautiful way to give a nod to the season. 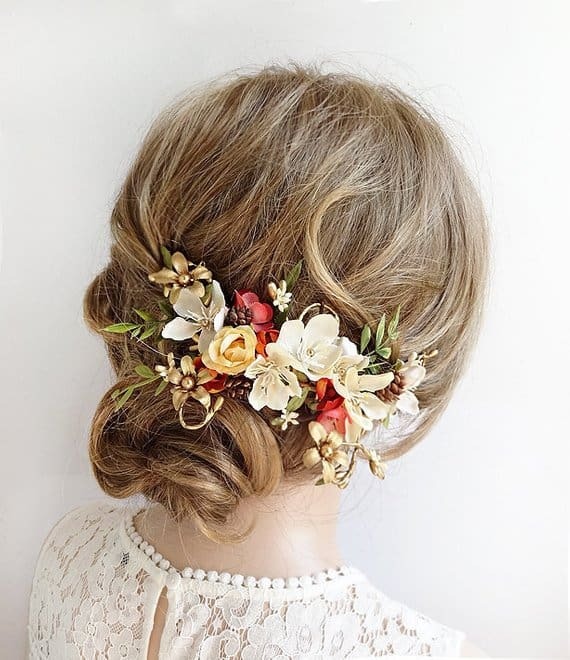 Adorn your hair style our your bridesmaids’ hair with a beautiful flower crown in fall colors or romantic hair accessory like this! 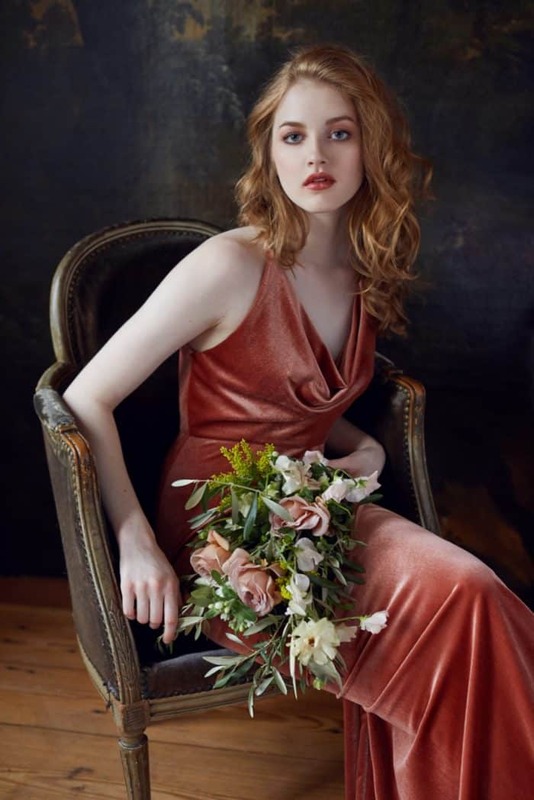 We especially love this shade of cinnamon, but gold, soft sage green, and burgundy, mauve and plum of course are great colors to use in your bridesmaid dresses! We did a whole post on fall bridesmaid dresses as well as fall mother of the bride dresses, filled with dresses in autumnal colors. 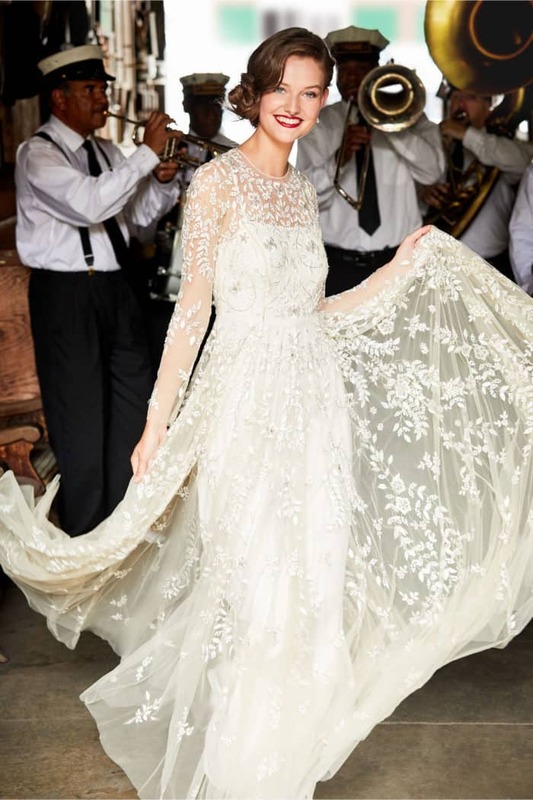 Fall is the perfect time to rock a long sleeved wedding dress, or a beautiful autumn-inspired accessory! You can also add a layer to a strapless gown with wraps or a cape for your wedding dress! 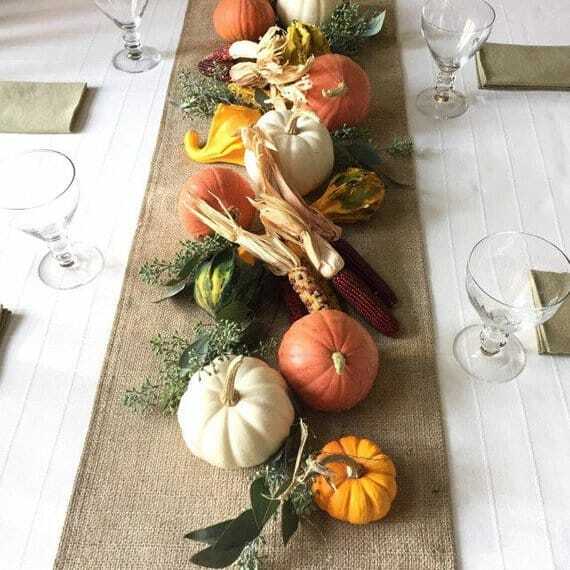 It’s obviously a great time to get creative withfall motifs and natural harvest inspiration like apples, pumpkins, flowers of the season, colors that reflect the harvest and the changing leaves. Don’t feel limited to just those traditional hues; a fall wedding can look great with touches of sage green, cream, copper, gold, and other colors as well! 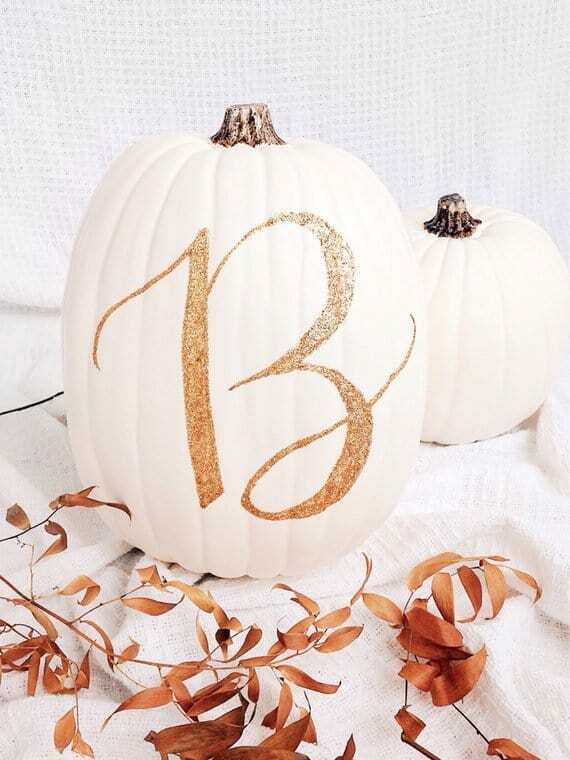 Table runners, signage, and candles and florals can be a great way to add a little autumn to your wedding! Check out these velvet pumpkin pillows, or cute white pumpkins for decorating tables or your event space. It can be beautiful to select blooms that reflect the colors of the foliage and the flowers that bloom during this season. One can also select dried flowers. Your florist will be able to tell you which flowers are best for your intended color scheme, mood and season of your wedding! 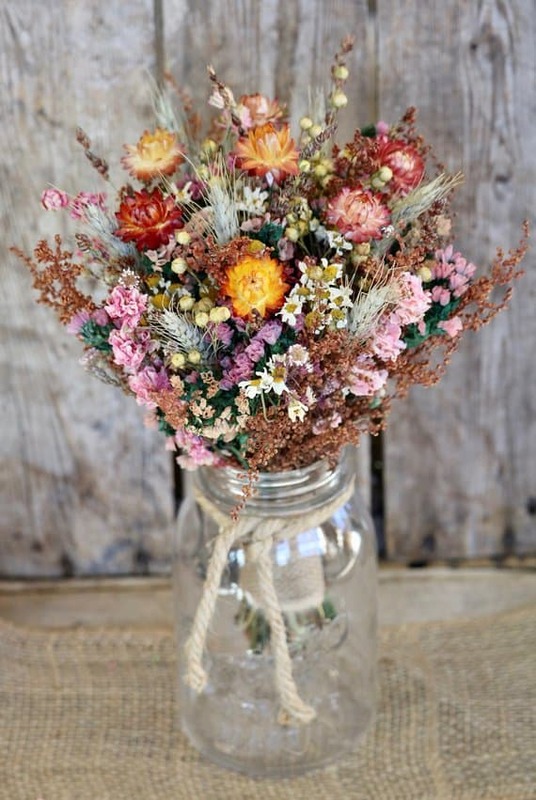 Browse Instagram for lots of fall floral ideas! 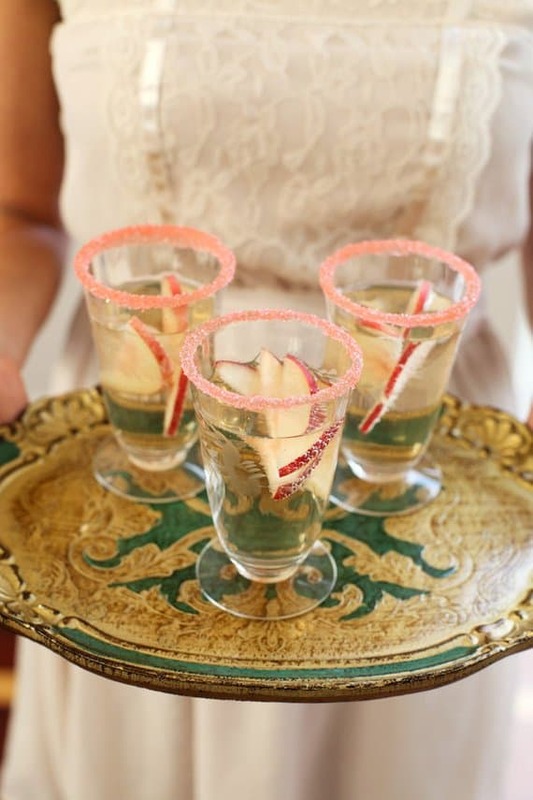 Welcome your guests with a signature fall cocktail, like a cider mimosa or an apple cider mule! Check out our boards on Pinterest for more ideas. Signature drinks that use apples, pumpkins, cinnamon and other flavors of the season! Check out our Pinterest board called party things for some ideas! To make your drink even more festive, try fall drink stirrers, fall cocktail napkins, or fun garnishes! 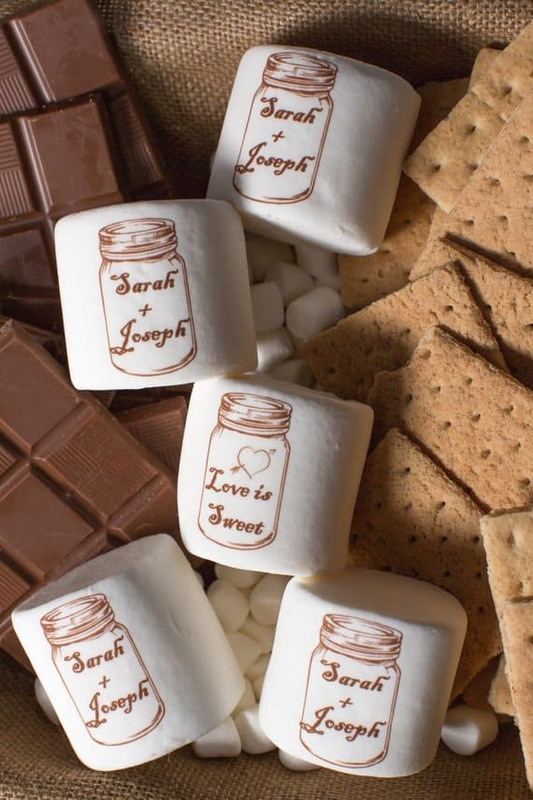 Fall is also the perfect time for cozy foods; maybe your reception will feature a firepit – in which case – do s’mores with these cute personalized marshmallows! Tasty treats like homemade pie pops, apple cider donuts are all perfect for the season. Popcorn, cookies, or fall candies can all be given as favors in a bag like this! These ties in fall colors for Grooms and Groomsmen. In case the weather is chilly, you may wish to include this information on where to find wraps for wedding guests! Give your guests ideas for what to wear with these fall wedding guest dresses, and velvet dresses for weddings!